The film is based on the true story (or mostly true as the opening credits boast) of career criminal, prison-escape artist, and amicable bank robber Forrest Tucker (Robert Redford). The film opens with one of his successful bank hold-ups. Having first been put away at age 15, Forrest had spent much of his life in jail and much of his energy breaking out – he successfully escaped incarceration 18 times. 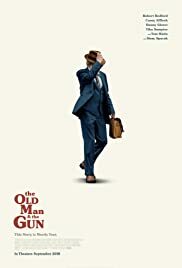 Forrest is, in the film in his seventies, free, and living in a retirement community, yet he cannot resist the lure of another bank heist. He assembles a gang (the cops nickname ‘the over-the-hillers’) who, though armed, rely mainly on creativity and charisma to claim their loot. They are pursued by Detective John Hunt (Casey Affleck), whose official duty is galvanized by the purity of his love for the chase. The film’s setting is 1981 with Forrest still robbing banks. For reason of not revealing any of the film’s spoilers which will certainly diminish the film’s entertainment, the key plot points will not be mentioned in this review and so naturally, a lot of the script’s brilliance cannot be detailed. So, take it with some faith that there are a few bouts of brilliant in the script. It is one thing to make a film politically correct but to have Detective John’s wife as a black played by Tika Sumpter is going a bit overboard. I doubt that this was the case in real life. But THE OLD MAN & THE GUN is not really about cops and robbers, bank robberies or prison escapes. It is about life and and what one does with ones life. The film’s message is to ” Keep on and keep keeping on…” which in the case of Forrest is to keep robbing banks. It is a universal message that results in this seniors film also having a universal appeal. Robbing banks is in Forrest’s blood and he cannot change it. When he is imprisoned, Forrest’s newest love interest Jewel (Sissy Spacek) convinces him finally to say put and not plan an escape. This he does but to completely change his nature of robbing banks is an impossibility with him. As the song goes in the 80’s hit tune that is played in the film – The Kink’s “Lola”, Well that’s the way that I want it to stay and I always want it to be that way – for my Lola. 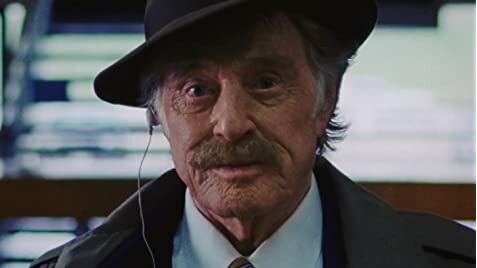 This film has been reported to be Robert Redford’s last acting role and the film is a slow but well-thought out and executed entertainer!